Working in the financial industry as a marketer for close to 20 years has taught me a lot, but the knowledge it’s given me of personal finance has been the most practical. I’ve come to truly believe financial literacy is vital for Canadians of all ages, and at all stages in life. When I was young and single I thought I had it figured out: you just pay down debt and save some money. I never realized how complicated your finances get once you have a family, a house, investments, RRSPs, RESPs, loans, and retirement isn’t all that far away. Financial literacy is absolutely essential yet not a structured part of any school curriculum that I know of, which is why my wife and I have already started teaching our 5-year-old son about money. 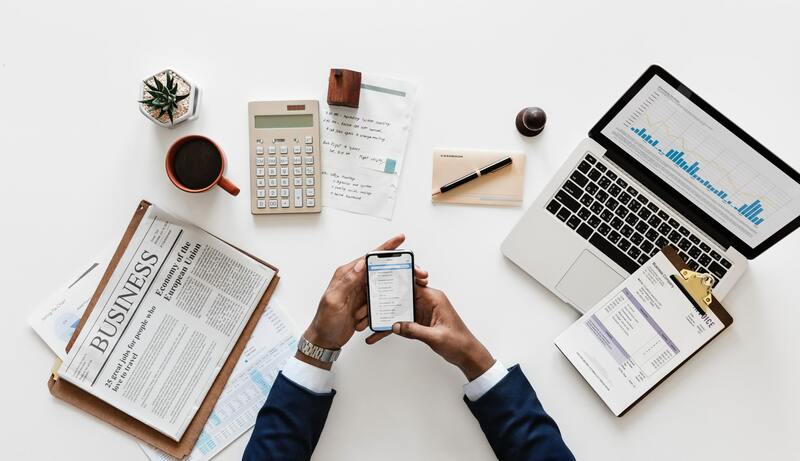 This topic is finally starting to get the spotlight it deserves as companies, governments, and organizations are picking up on the necessity for financial literacy. But ultimately, who should this responsibility for education fall to? I believe the financial industry should be both advocating for education and providing it as some have already started to. This doesn’t just apply to the financial industry— I believe all brands have a responsibility to educate their customers. Certainly, this is one of the key drivers behind the success of Inbound Marketing. Brands benefit from educating customers through the increase in brand loyalty, customer engagement, sales, and referrals. The more education you can provide your prospects before they get to the purchase stage, the more knowledge they will have to better understand how your product or service fits their needs. Education shouldn’t just happen in the prospect stage either, it’s vital through all stages of the buyer’s journey (awareness, consideration and decision) and should be a part of every stage of your marketing strategy. While there will always be a need for education, it also makes good business sense. For financial literacy, the data makes the case clear. Over a decade of low interest rates and increasing housing prices have to lead to large household debt loads. Depending on which report you read, some classify Canadians as having among the highest debt levels and some that say 52% of Canadians are $200 away from insolvency. Interest rates have increased which will put more financial pressure on those with high debt. As a bank, credit union, or any financial related company, providing financial literacy to customers provides much more than just feel good PR, it can produce measurable sales results and increased brand loyalty. Financial literacy can provide real ROI. The demand – A survey conducted by Alberta Education resulted in “90 percent of respondents supporting the introduction of financial literacy as early as elementary school”. The return – People who engage with a company’s educational marketing offerings are 29 times more likely to purchase a product than those who are informed through media advertising alone and 94% have a more favourable perception of the brand because of the experience. Junior Achievement has a number of programs for elementary to high school students which are sponsored by companies and taught by volunteers. I have personally taught the Dollars with Sense program to grade eight and it was a very fun and rewarding experience for both the students and the volunteer instructors. ATB has some unique ways to teach financial literacy through their Junior ATB for kids, Empower U for vulnerable women, and their How to Adult events they ran for Millennials. From the discussions I’ve had and the demos I’ve seen Everfi is a great way for businesses to starting providing financial literacy. Their programs for financial institutions and credit unions can be fully customized, or be as simple as plug and play to provide a real value-added service for customers and members. The push for financial literacy needs to be constant, not just during Financial Literacy Month (which is coming up in November). Instead of Canadians being known for having some of the highest debt levels, wouldn’t it be great for Canadians to be known as the most financially literate in the world? Aspirational yes, but definitely achievable, and such a noble opportunity for financial related companies to engage customers and prospects. Products don’t help people reach their financial goals, they’re just tools. It takes the guidance of education in collaboration with those tools. With proof of an actual ROI, technology and resources so readily available, and the marketing shift of investing more on brand engagement and less on advertising, there’s no reason for companies not to be putting a bigger focus on educating consumers. Education is one of the most valuable products or services a brand can provide its customers (and it also works as a great marketing and lead generation strategy). I personally feel that the delight stage (after the sale) is where many industries and companies are missing a big opportunity to turn customers into promoters. My first introduction to the importance of customer education came through finance but any industry or business can, and should, educate customers. If you’re a business looking to grow sales, increase your customer experience, or encourage brand engagement, I would be happy to discuss how educating customers, and prospective customers, through inbound marketing can help do that.